In this June 18, 2016, file photo. 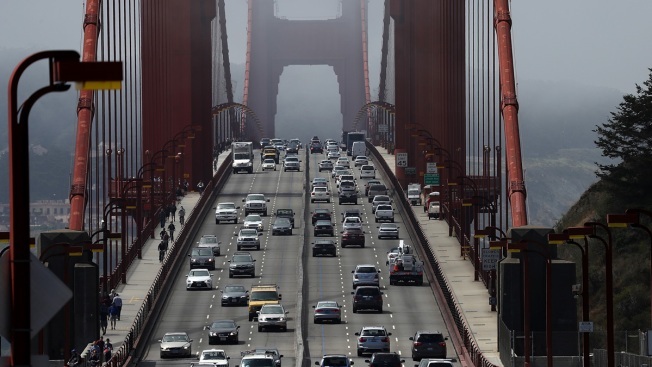 cars drive over the Golden Gate Bridge in Sausalito, California. On Thursday, the Trump administration announced a proposal to weaken fuel-efficiency requirements for the nation's cars and trucks. The rollback is likely to spark legal challenges from California and other states. California will no longer have the authority to set tougher fuel economy standards if the White House plan succeeds. 19 states have already announced plans to challenge the administration in court — leaving automakers like Ford, Toyota, and Volkswagen unsure whether or not to proceed with billions of dollars in investments in the technology needed to improve fuel efficiency, NBC News reported. Two years ago the auto industry pushed back when the target Corporate Average Fuel Economy, or CAFE standards for 2025 were set at 54.5 mpg. But the plan the White House has come up with has only complicated things. The proposed CAFE revisions would take away California’s ability to set its own standards — which 10 other states, as well as the District of Columbia, have adopted.